Welp. Add this to the list of things I need in my life but probably won’t get. If we throw enough money at him, will you let the artist do the whole thing? It’s a beautiful dream, but keep in mind that he’s animating a portion of the audiobook… an audiobook that is more than 20 hours long. 20+ hours of animation is…. unlikely, methinks. Dude, I would watch every second of a 20 hour animated audiobook…twice. Man, just leave him be. I’m sure that we’d all rather wait for the book to be completed exactly the way it should be rather than rushing it. Pat has never disappointed and won’t with the third book. Just let him take his time. He did not ask Pat to rush it…? I just finished listening to A Slow Regard of Silent Things, (I first read it in 2015) and there are several parts in that book that I think would benefit you. One is Auri and her internal dialogue. She repeatedly “talks” of doing things in the proper way, and the price of not doing them right. If the time isn’t right for Pat, how can you blame him? Things must be done properly. You don’t just do a single writing and a single editing pass! Well…maybe you do, but best-selling authors do not. The number of pages until completion isn’t a realistic thing to ask for. Jon, you should be happy that he wrote two great books that sparked your imagination. Patrick Rothfuss is under no obligation to write a third book, even less to write it under a deadline. If and when he does, fabulous, we’ll get to read it. He didn’t enter a contract with you or anyone else to write it (well, the publisher maybe, but that’s different). Why don’t you write your own fantasy novel? No one is stopping you from doing that. By this point I am not sure I want a third book. George R. R. Martin did not get better with the books and when I look at all the loose ends hanging over from the first two books I am not sure how one would write a book that ties them all off, let alone a good book. The two first books are probably in my top five of my most favorite English books (I am not a native speaker, so I have favored books in other languages as well) and they have been like a warm blanket on my soul in times when I really needed that blanket. But I rather have those two books and the little sneak peak I got into the world than a third book that burns it all down by wanting too much. Whatever Patrick does, he made me two great big gifts and as far as I am concerned a third book won’t make them better. I agree with Jan. My theory is that a story isn’t finished until the main character dies (and then it could still go on and on with other characters.) I love both books and happily reread as needed. The lack of a third does not make me love the story any less. They say one picture is equal to a 1,000 words. Already seen it Bro. Way ahead of you. Well, now I need to reread the books, just because. Excellent work by Ethan Becker! Come on. These comments are never funny. Be nice. Actually, i smirked a little. Oh, it was funny. I stopped caring about the third book years ago, but I still find it funny, mostly because Pat is a self-obsessed, lying, hypocritical jackass. Why am I here? What an odd question. I’m a fan of the genre, obviously, and I like to keep up-to-date on stuff. I don’t have to like Pat to occasionally check the blog. Why would you think everyone reading Pat’s public blog thinks he’s a stand up guy? It’s because you care about the book, Jo. Or because you’re so strapped for attention you’re rechecking this blog every day to see if anyone’s responded to your ruckus. Like a frat kid who walks into a bar and tries to fight the bouncer, but sadder and more immature. This has to be the silliest, slowest example of binary ‘either-or’ thinking I’ve seen. No, I’m not emotionally invested in “the book,” as you put it. I don’t care whether there’s a book III or not. No, I don’t care about your attention. You’re text on a screen to me, a passing thought at best. Just as my reply is a passing response, an offhand acknowledgment that I saw text on a screen. Are you under the impression that you understand people? If so, you may want to reconsider and reassess. haha, says the fellow who’s anonymously passing judgment from behind a keyboard. Shrug. I guess it is pretty easy. That’s technology for you, huh? Curiously, what’s your point? Are you trying to say that people didn’t admit to not liking other people before the internet? No, that’s miss use of technology, its like pulling a hood up and shitting in Pats house. You’re a guest here, behave that way. Being angry, sad or disappointed because the book isn’t published is fine, I’m too. So silly. Consider, if someone were in your house and they pulled their pants down and literally pooped in your living room, would you then admonish them by saying that what they just did was like making a negative comment on someone’s online blog? Of course not. Because it’s a ridiculous comparison on its face. Thanks for the share Pat! That was really cool to watch! Hope you’re doing well!! It would be amazing to watch an animated series set in your world. Maybe get Michael Dante DiMartino, who Co-created Avatar: the last air bender, to do it. I would love that. Food for thought. Also keep up the good work Mr. Rothfuss. Once he’s done animating both King Killer Chronicles, do you think he’d have time to draw up 140 hours of animated accompaniment to the Stormlight Archives? Good question, and relevant, since Stormlight will be complete before Kingkiller #3 is. Sanderson is a machine and still a good read. Tack on the Mistborn series too, Sanderson is my BOY! Gotta hand it to the direction. Especially good was Kvothe watching the water and Sim being drowned out. I think it would be interesting, but the books are already good at painting a visual in the mind. I had it pictured pretty much exactly like that cartoon depicted it, so I think it is painting the same images in everybody’s mind. I’m looking more forward to listening to Rupert Degas read the third book to me than I am in reading it myself. I do enjoy the theatrical readings of the story more than anything else. How did you get the Rupert Degas version of the Audiobook? I have the Nick Podehl version and love it but have wanted to get the Degas version for years but it’s locked to Europe which is ridiculous in our digital age. And here I was getting worried that, after the loss of the Winter Boyfriend to the advent of spring, we would be left alone in the (warming) cold. But here comes the new Spring Boyfriend with a super aawesome clip! Hi Patrick, I’ve just recently finished reading the kingkiller chronicles (books 1&2) and what an amazing adventure! Thank you for putting so much energy on these books, I had a great time reading them. I want to add support for leaving Pat alone about book 3. As much as we all want to read it, we all expect it to be great, and greatness cannot be rushed. How can anyone be talking about “rushing” at this point lol. I agree, Pat still should take the time necessary. But asking for minor update has nothing to do with pushing him or asking him to rush. Yes, Pat should decide himself when the book is ready and not listen to these people. Even though I really want to read the book, I’d rather wait another few years for it than reading an unfinished story. To all the impatient ones out there, I can understand you but consider this: You will re-read the story more this way which lets you live in this beautiful world for longer! However “greatness cannot be rushed” is an absolute, it does not hold always. Do not use seemingly sound absolutes to make your point. Thank you for this animation Ethan Becker. I thoroughly enjoyed it. Every book I read, I compare to Pat’s work, and nothing ever measures up. The Name of the Wind is a story I wish I could erase from my cognitive processes once a month, just so I could enjoy it again as if for the first time. But since I can’t do that, seeing this scene re-imagined in a new way is the next best thing. My soul thanks you for the warm fuzzies. Why let Critical Role have all the fun? Sooo good, take my money! Made my day. I mean, seriously, made my day. Would love to see a full length movie made. This is what I love about your books and your blog. The books are stories about stories, and they inspire others to tell stories. The entire universe of your world and its fandom is a generous celebration of storytelling and the world will just never have too much of that. 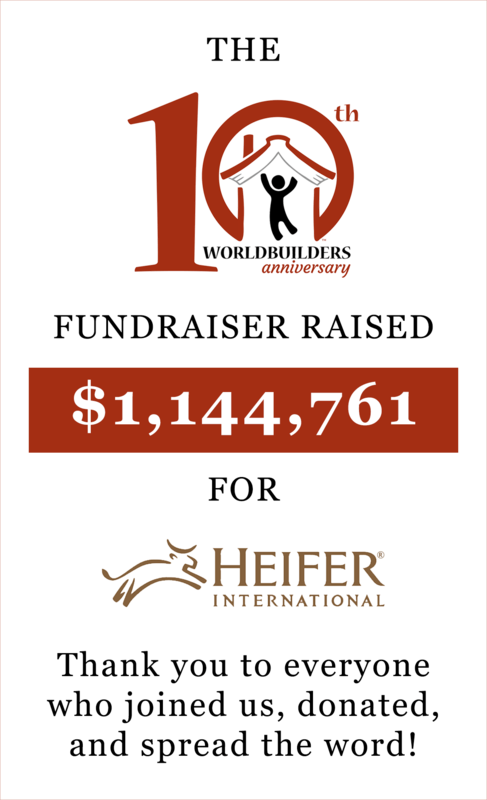 Even the charity work of Worldbuilders is a story — one that we all continue to tell, shape, and retell — built by auctioning/celebrating the stories of you and so many others you so sincerely promote. I feel hope every time I think on this. Thanks for sharing this! Really cool and brought a grin to my face too! Just thought I’d bring something up that I noticed and thought was quite amusing. Whenever anyone brings up Book Three—anywhere—I always think about it as though Pat is Arliden and everyone is shouting at him to sing his tale of Lanre. It just fits so superbly. Needless to say, if he so much as speaks about Book 3 before it’s done, the Chandrian will probably kill him. Better to hear all of it than just a portion in my opinion. Also. What a fantastic video. As soon as I realised what was happening, I became entranced. It was so cool to see all of the effort Ethan Becker put in to take one of the most vivid and exciting scenes in the book and faithfully animated and record it. Job well done! I always think the exact same thing any time someone whines about Book 3. Honestly, my only worry is that we will never actually get the conclusion to the story as a whole at this point. His work is amazing enough that the wait would be more than worth it even now so many years after book 2. However, at this rate, given that he said himself the first three books were only the intro to the story Im beginning to think I will never know how the story as a whole ends. I first read book 2 right around the time it was released so I have been mostly patiently waiting this whole time. I usually try not to “whine” or even ask about book 3 at all, but I completely understand those who do want to ask about it. In my opinion, as long as they are reasonable and polite with their questions they are perfectly within their rights to ask questions, even if said questions may have been asked before. I know Pat is on a whole other level author wise compared to most other authors I have read, but whenever I think about this series now, the only thing that comes to mind is that I so badly wish that Pat gave us even half the level of communication about his actual books that other authors give about their own series. I honestly think it is amazing the work Pat has done with his charities and other work and I would never hold that against him but at this point I have begun to wonder if there are some underlying problems that we haven’t been made aware of that are preventing him from completing book 3 (maybe something related to the posts about his own mental health from around December 2018). The main reason for thinking this way is just how he has put so much effort into avoiding talking about his books at all really. If book 3 ever does release I will be right there ready to dig into it with everyone else, but at this point Im just trying to limit my expectations for my own sake. It is a depressing view to take but at the end of the day if you already expect the worst you can only be pleasantly surprised by any other outcome lol. I agree with Curtis on this, perfect way to describe this! Does anyone else watch this and think that this series would make an excellent animated series in the vain of Avatar the Last Airbender. Yes, that was my thought. I think those animators would do a fabulous animated series for these written works considering how full each book is. Oh! This!!! This, this! This!!! That is awesome. What a Jakis! Props for the artwork! Already almost lost interest in how this will end, like waiting so long to eat ice cream that actually all of it melts through the cone and further between your fingers so all you can do is lick out the warm remains wondering how great it could have been back wen it was still fresh and cold. Can’t wait to read your book. Or do you only write smug comments on blog posts? So only authors can express an opinion on the fact that book 3 has entered mythical status, sort of like the end of GRRM’s series? I have some mediocre, unpublished poetry – does that confer the necessary credentials? In my (obviously) unasked-for opinion, as long as the discourse is civil, opinions should be allowed and questions permitted. Mr. Rothfuss can probably handle it. Do you mean “The Door into Starlight”? @Lynne: My bad, I meant to say millennium (regarding your “Yes, last century…”, it’s not only the last century but also the last millennium). Sorry for the confusion. No worries KVN — it certainly seems like a millenium ago lol Yes I can definitely recommend the Tale of the Five series. Door Into Fire, the first book, is just great and I haven’t been disappointed in any of them. I can also recommend her Young Wizards and Feline Wizards series; they’re also really good reading. The other day, I took a six year old to a relative’s house. Knowing her propensity for asking questions, I asked her to kindly not ask about or mention the relative’s recent issues. We went to the house, and do you know what happened? If a six year old can manage to not keep bringing up the one thing everybody else has clued in on, I’m sure you and Ondra can, too. Nobody wants your toxicity. Stop being so goddamn bitter. Thanks for sharing, Pat! I’d seen this a week or two ago and seeing it on here again reminded me how cool it is. I’m in the middle of listening to Wise Man’s Fear (as a reread) and the audiobook + this animation is a stellar combination. I hope you and your family are doing well and enjoying the warm(er) spring weather! That was wonderful and I crave so much more! My brother got my dad and I the series this last Christmas and I have never fallen so hard for a series. I am constantly recommending it to friends and anyone who will listen. I’m currently on my second read through after buying the 10th anniversary addition. The copy my brother gave me is now the one I loan out to anyone I can talk into reading it. Thanks for the wonderful story Pat and I am greatly looking forward to the 3rd book, the movie, and everything else to come! The animation was great, and Sim’s face after the wind was called is priceless. Kudos to Ethan Becker! Thank you Ethan Becker! What a great animation; it was very enjoyable to see how you invoked some of those motions with only a few frames. Ethan, super cool. However as much as I’ve fantasized about what Will and Sim might look like, can you next animation be a visit to Devi? Cheers. Didn’t love it, but it was cool. Certainly better than I could have done! Now have to re-read books 1&2 after I finish The Dark Tower. Lovely! So good to see artistic talent like this, and to see this scene come to life. Well done! Here’s why this is cool, not only does but it shows the author how much people have enjoyed his work. Second, I enjoyed it because while my imagination illustrates the characters differently, I’m able to see someone else’s own representation. Meant to say, but I rather than Second. I apologize for any confusion. The animation was decently done. I would love to see the written works turned into an animated series like Avatar (Airbender). The story is so rich and full that a film series would likely cut way too much (just like Harry Potter book 4). Was that the Harry Potter epilogue music I heard? That was neat. Very interesting style of animation. Quick question. Have you considered doing a yearly road map for your work? State of the Sanderson is a great example I’m try to refer to. I think if you posted a yearly goals, milestones, etc people would stop bothering you about your books and what you’re up to. Just a suggestion! Thank you for your hard-work. Tap the Pat, fiddle the riddler, care to join the troupe yet? not by the nameless, fire, blood or ice. Though it is not known always there were two. the other forgotten bellow the Sea. while both have a maker, none had been made. Longtime fan here, I love your books. I have been to a few of your book signings and met you at a convention once in Reno back in 2011. I know you owe me nothing, not a new book or anything else. Back in 1999 I found a book written by another author, the name of the book had the word ‘Game’ in its title. I devoured it and quickly went back to get the second book in the same series by the same author, this one had the word ‘Clash’ in its title. I then had to wait about a year to get the third book, a book with the word ‘Storm’ in the title. So looking back this author was on a two year release schedule, I was excited that I had found something special. Then things changed, fast forward nineteen years and the series isn’t finished yet. Which is fine, this guy owes me nothing. But people have been a bit rabid for it and things have at times gotten ugly regarding the resolution of this series. In fact it prompted another famous author to post a now infamous essay on his site telling people the other author isn’t their female canine companion. Which is true, he isn’t. And the author who wrote the ‘Game’, ‘Clash’ and ‘Storm’ books doesn’t owe anyone squat. But on top of everything this person then sold the rights to the story to a TV production studio, which created an extremely popular show from the story that has now caught up and passed the author. In fact it’s about to begin its final season, showing the ending of the story before the written version. So now after twenty years of waiting, I get to learn the end of this story via a TV SHOW!!!! Written by other people, who are nowhere near as good at writing as the original author. I like aspects of the show and some of the actors have done great characterizations for the series. But it is nowhere near as good as the books, the first three anyway. And in this day and age, and with the popularity of the TV show, there is no way on earth I will be able to avoid spoilers that tell the ending for very long. After some duration has passed some blogger or other ‘entertainment writer’ will eventually post something like ‘now that everyone has seen the ending of (X, Y, Z TV show) what did character something or other’s death really mean?’ And I hope you can understand how disappointing this is to me, I have supported this story for a significant portion of my life only to have this happen. I have given up on the books, and will simply watch the show instead. Why buy the books when I will already know the ending? So he can take as long as he wants. So please take your time if you want, do what you want. Go on Jo-Co cruises and to conventions as much as you want. Sell your story as many times as you can and I hope it’s a really popular and successful movie/TV show/game series. Have a blast, you deserve it! Just please, please, please, don’t make it so I wait twenty or so years (we’re already at twelve) only to learn the end of your story through a TV show, movie or game. What a beautiful write-up! Rings true to my ears. Basically was on my day-by-day year-by-year routine to check for possible news, but this comment has nailed it. Thank you very much, good sir! I didn’t know where to type or get hold of you, but think you might find this interesting. I think I found your little moon fey. I just like your book Mr.Rothfuss. As long as i am just as young as i feel i got plenty of time. I don’t know about anyone else, but I’m certain that the most recent episode of GoT (A Knight of the Seven Kingdoms, S8, E2) included a not so stealth salute to Pat’s work. I have no doubt this is Martin, or his proxies, returning Pat’s stealth salute to Martin. Who’s with me? Im afraid I missed both stealth salutes. Quite qurious, though! Galla, the line of dialog was directed at Jaime. The tribute I suspect Pat of making to Martin is in the frame story, discussion about supplies for the Waystone Inn.